WASHINGTON — President Trump will get together with the leader of North Korea, Kim Jong-un, this month in Hanoi, choosing the capital of a communist nation for a high-stakes summit meeting intended to eliminate a potential nuclear threat, the White House said on Friday. Mr. Trump revealed in his State of the Union address this week that the meeting would be in Vietnam but did not disclose the city. The United States had explored Danang, a coastal city where American troops arrived in 1965 for a war that would scar a generation, but the North Koreans were reported to prefer Hanoi. Mr. Trump and his aides have cited Vietnam as an example of a communist nation that emerged from international isolation to develop a dynamic economy. Mr. Trump has sought to persuade Mr. Kim that giving up his nuclear weapons would enable him to transform his impoverished land into a thriving country. 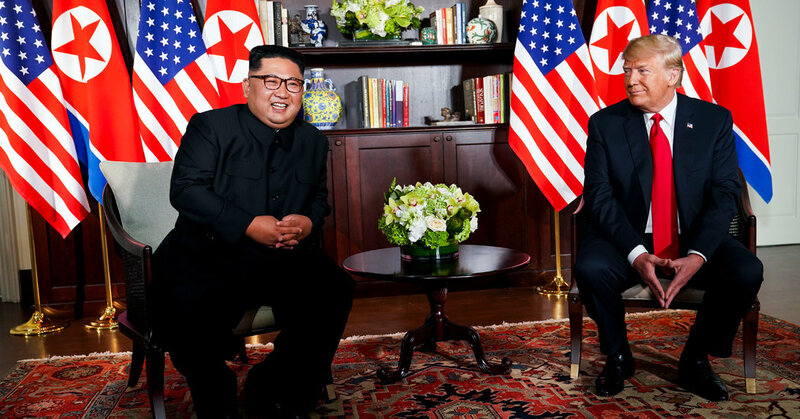 But while North Korea has refrained from further nuclear and missile tests, it has yet to make any concrete commitment to eliminating its arsenal.